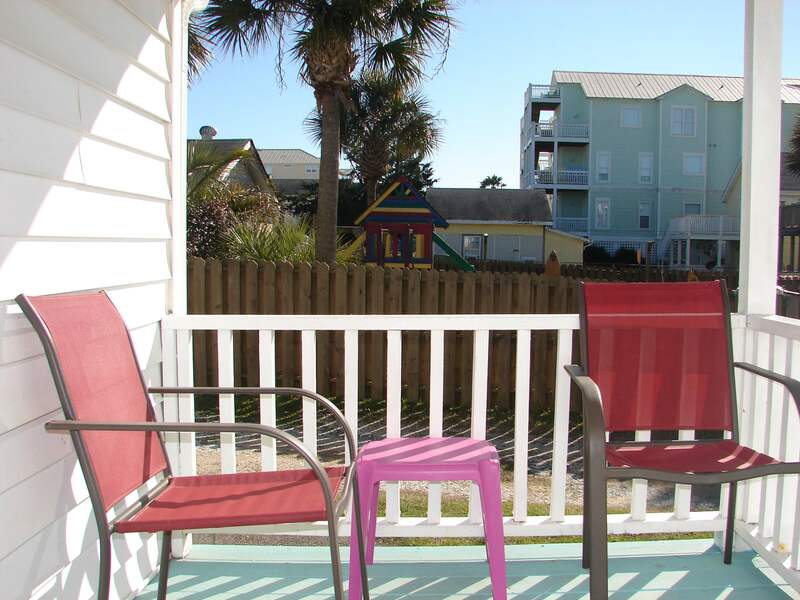 When traveling with your furry friend, or if your family has earned a vacation and Wally World is still closed, take a look at our petite vacation cottages which can provide a special beach getaway for everyone in the car. Scroll down to learn more about Cottages 1, 2 & 3. 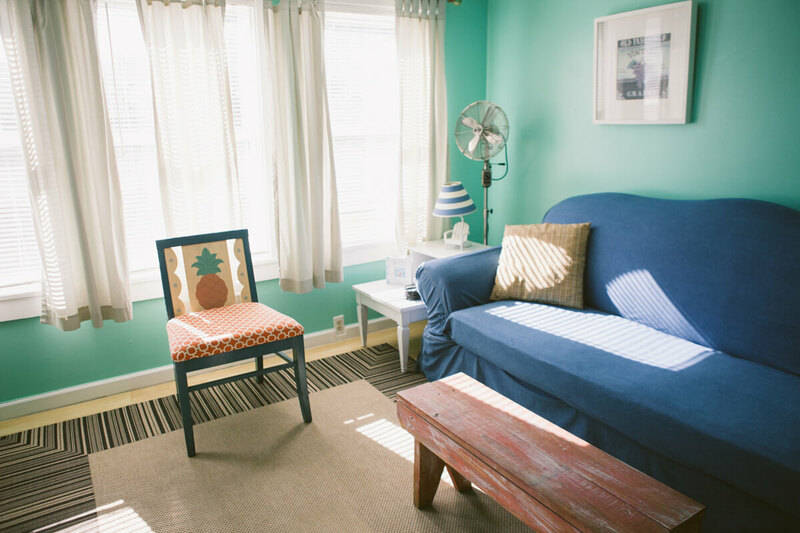 Located directly behind the Beacon House Inn Bed & Breakfast and across the street from the beach (a 2-minute walk to the sand) our cozy cottage rentals are well equipped and perfect for a small family. 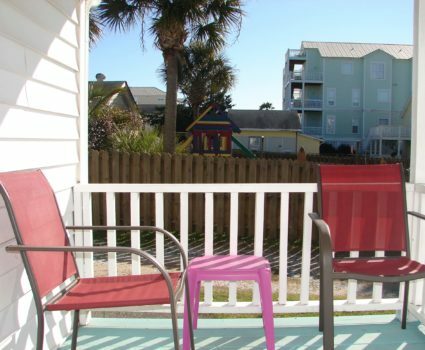 Our cottages are also a short walk to the boardwalk where you and your family can ride the Ferris wheel, view a weekly firework show, and enjoy many other summertime family friendly carnival amusements. 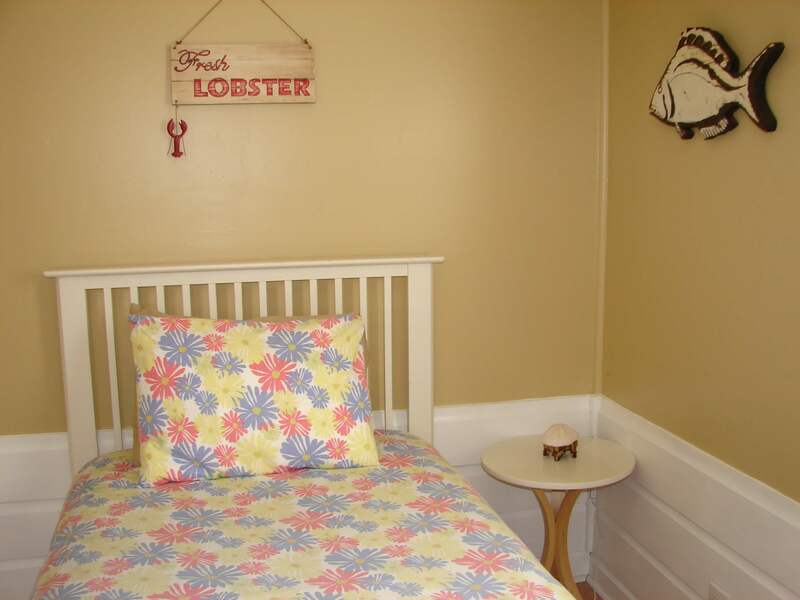 Each cottage has complimentary highest speed available Wi-Fi, is furnished with a full kitchen including all necessary cookware/microwave/utensils/coffee maker etc., allows children of all ages, and is dog friendly (2 dog maximum for each cottage). Included in your rental is a start-up kit of essentials such as dish soap and sponge, one roll of toilet paper, one roll of paper towels, and a hotel sized bath soap, shampoo and conditioner. The Beacon House also includes a deluxe sample size of our signature coffee from Carolina Coffee Company, a selection of fine teas, sugar, and creamer. You must purchase your own supplies after the start-up kit has been used and additional coffee is available in 1/2 lb bags for purchase in the B&B. 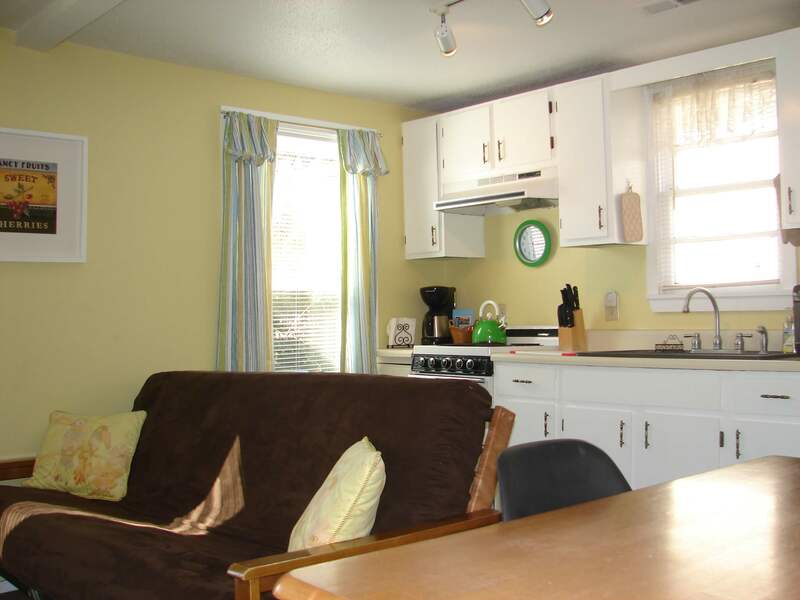 Each cottage is self catering and due to health code, does not include breakfast. 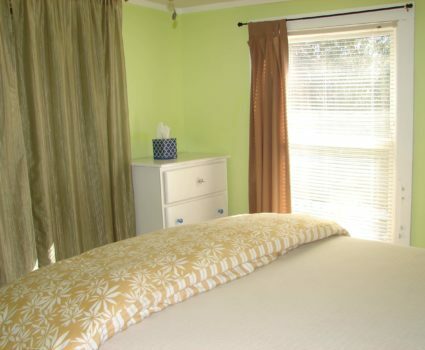 A linen rental package is available for length of stay for a flat rate of $40 + tax. 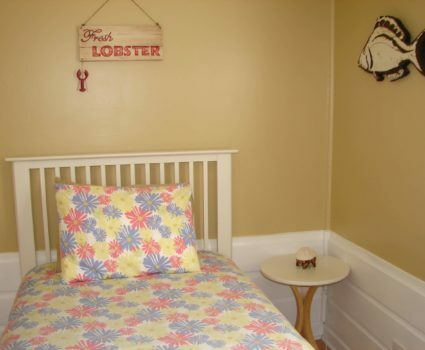 Please select “beach cottage linen rental” from the “add-on/gift shop” when making a reservation. You may also bring your own linens (sheets, pillow cases, bath towels, wash cloths etc). Let us know if you are “bringing your own” when completing your reservation at check out. 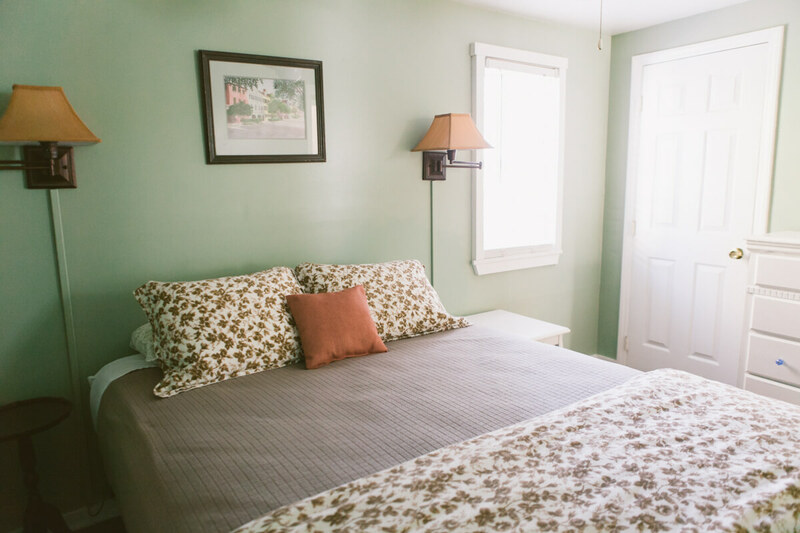 Failure to bring your own linens and not take advantage of our linen rental package will result in an additional laundry / cleaning fee of $80 + tax. Each cottage rental comes with one on-site parking space. 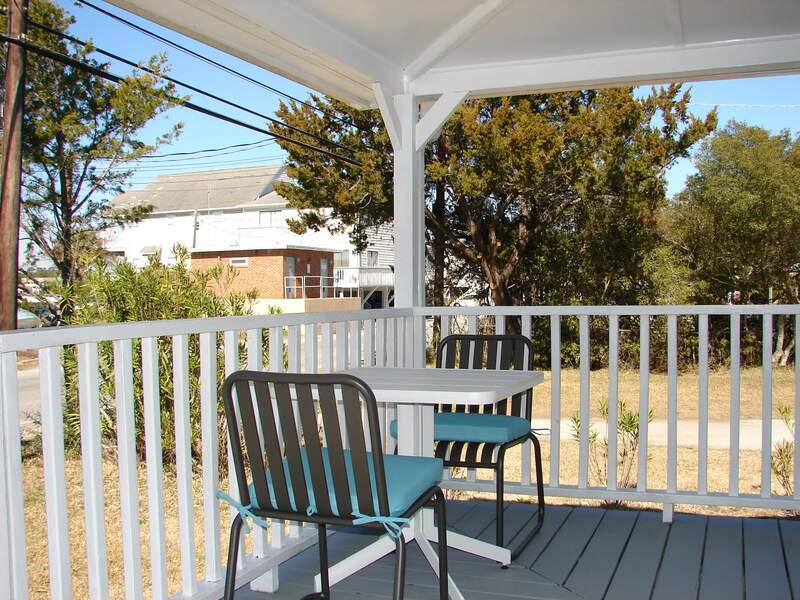 Please take a look at each cottage, review all of our cottage policies and book the one that best fits your needs. 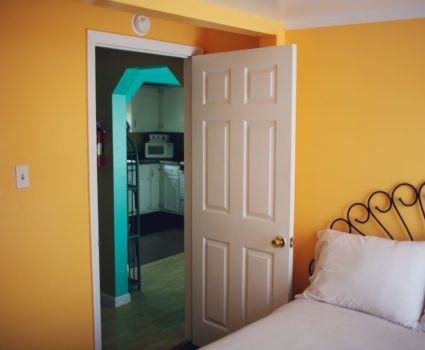 This two bedroom / one bathroom 450 square foot vacation cottage is ideal for a small family or a couple traveling with their furry friend(s). 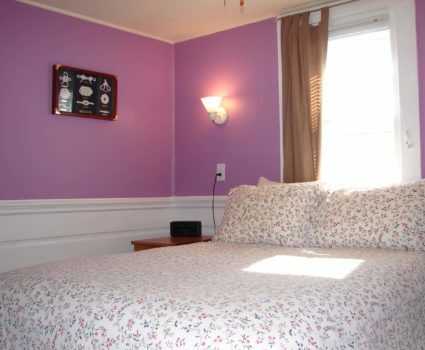 Queen bed in the larger bedroom and a double / full bed in the 2nd bedroom. Well-appointed roomier full kitchen with ice-maker. 32 inch Smart TV with Roku, HD Direct TV, and highest WiFi speeds available. Stand-up shower in the bathroom. One free on-site parking space. Wagon for hauling beach items. 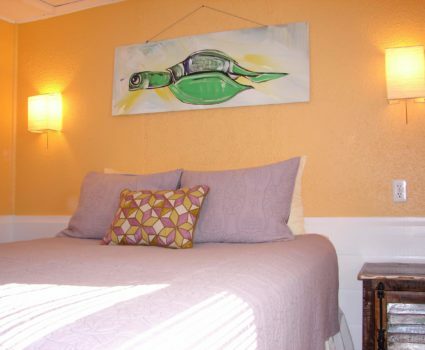 Rentals are self-catering and do not include breakfast. MAXIMUM occupancy is four (4) human heartbeats (including babies) and two (2) dogs. 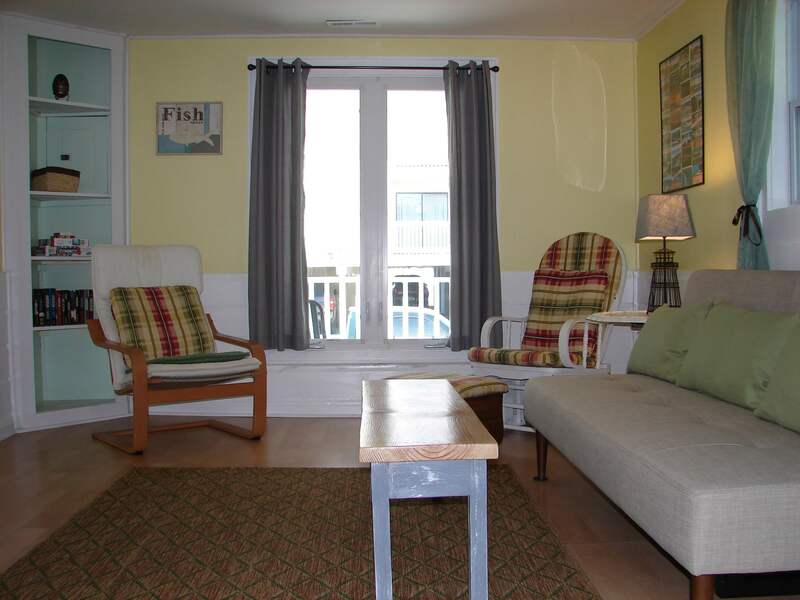 For parties traveling as four adults with larger dogs (over 75 pounds), please refer to Cottage Three. 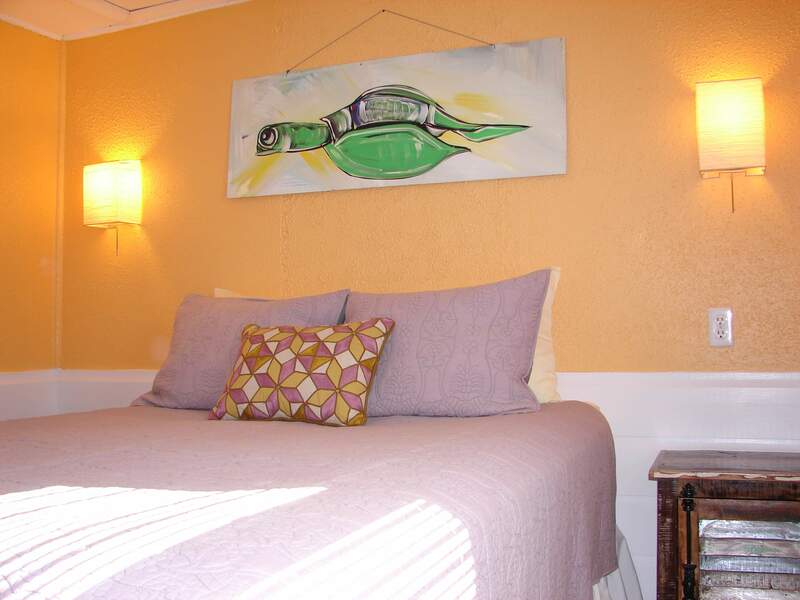 A year round two (2) night minimum (three nights on summer holiday weeks/weekends) is required. 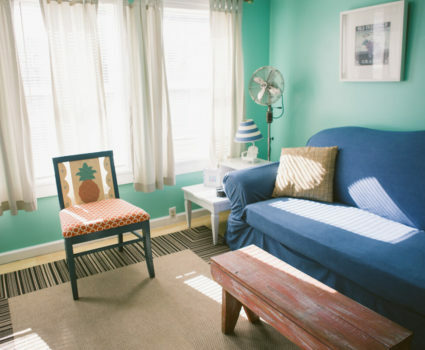 Guest can utilize our “walk-in ready” linen rental for a flat rate of $40 + tax for length of stay or may bring their own. The pet fee is $25 per dog per night. 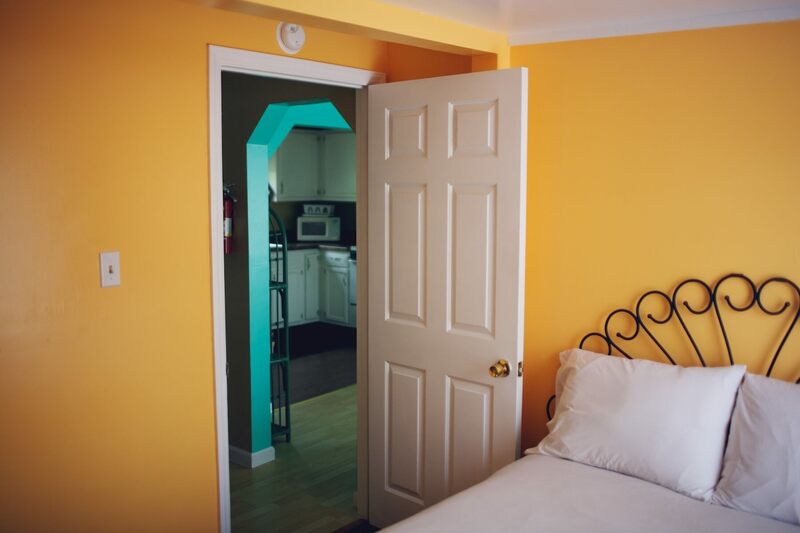 This two-bedroom / one bathroom 450 square foot vacation cottage is ideal for a couple traveling with younger children and smaller dogs. 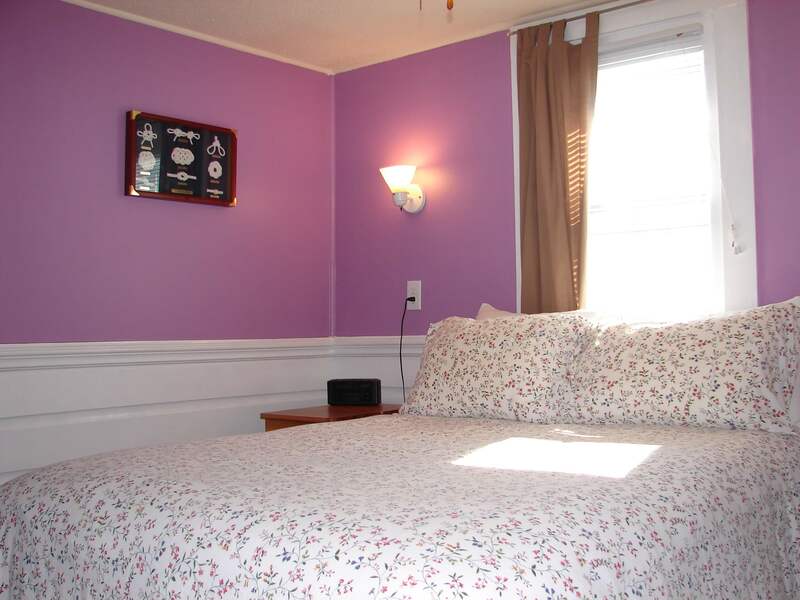 Queen bed in one bedroom and two twin XL beds in the larger room. Wagon suited for a child and small beach toys. 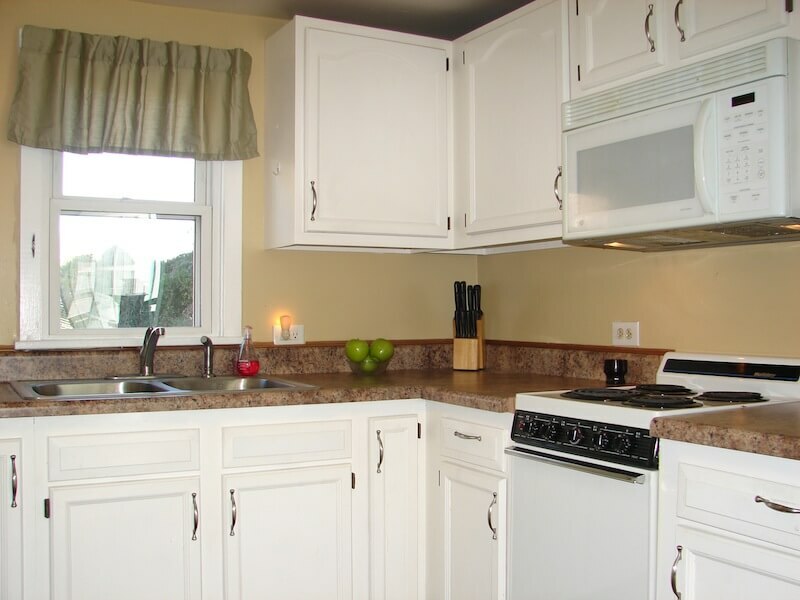 Rentals are self-catering and do not include breakfast. MAXIMUM occupancy is four (4) human heartbeats (including babies) and two (2) dogs. 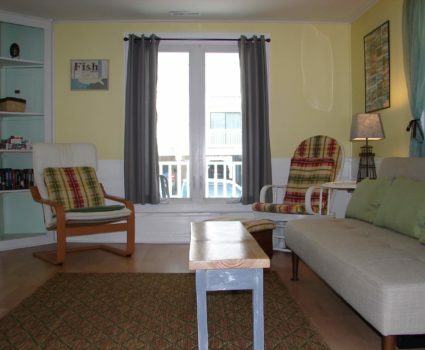 Cottage Two is our most economical rental. Parties traveling as four adults or guests traveling with larger dog(s) should refer to Cottage Three. 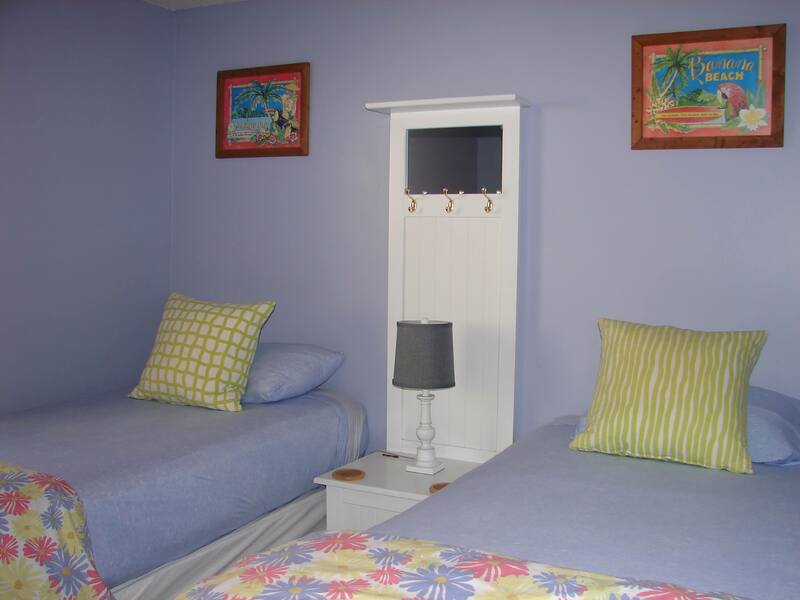 A year round two (2) night minimum (three nights on summer holiday weeks/weekends) is required. Guests can utilize our “walk in ready” linen rental for a flat rate of $40 + tax for length of stay or may bring their own. The pet fee is $25 per dog per night. 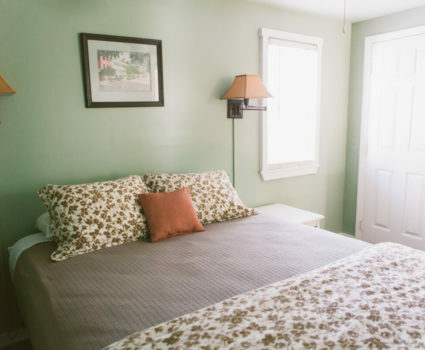 Cottage Three is our largest vacation cottage rental with three bedrooms / one bathroom and is perfect for a family that desires a little more space and a few more amenities. It is also ideal for guests traveling with larger dog breeds (over 75 pounds). 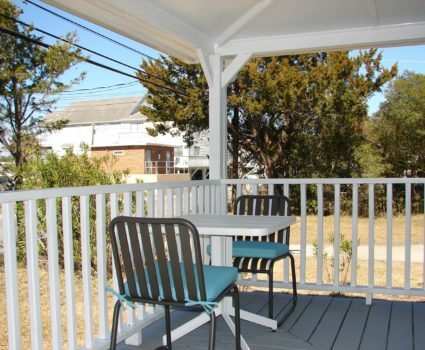 750 square feet with a sizable wrap around porch and canal views. 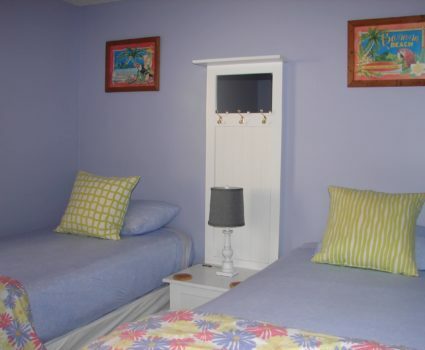 Queen bed, double/full bed and one twin XL (primarily suited for children/teens). Pack-n-play and child booster seat for a table. Samsung 46 inch Smart TV, HD Direct TV, and highest WiFi speeds available. 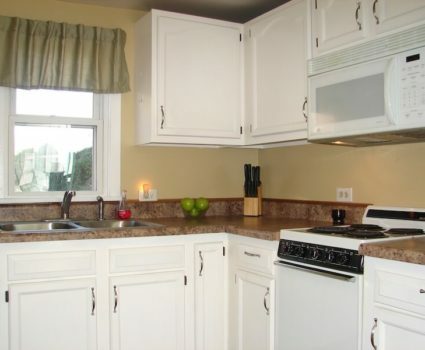 Well-stocked full kitchen with ice-maker, dishwasher, and al fresco dining utensils. Concrete patio with small yard, charcoal grill (B.Y.O.C), and outdoor shower. Cottage Three can also accommodate a second car with advanced notice. 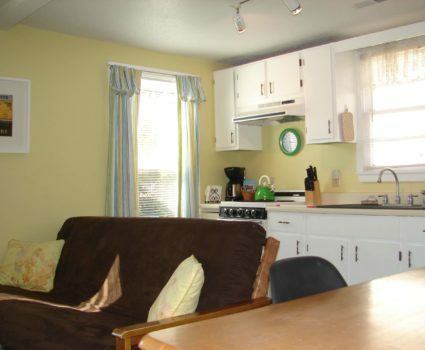 Rentals are self-catering and do not include breakfast. MAXIMUM occupancy is five (5) human heartbeats (including babies), two (2) dogs, and requires a three (3) night minimum in High Season. 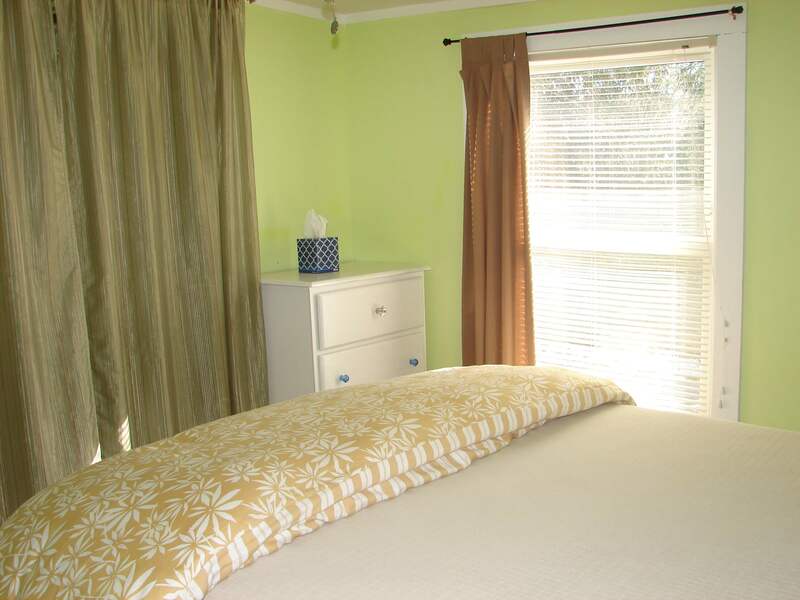 Guests can utilize our “walk-in ready” linen rental for a flat rate of $40 + tax for length of stay or may bring their own. The pet fee is $25 per dog per night.